Village Sales is a premium service offering a targeted audience, quality customer care, and genuine results. Village Sales markets itself across various media to ensure that the right people are looking at our listings. With over 20 years of experience in the industry, you can be confident your listing will be seen by the right buyers. Don't waste your time and money on other services that may not market your listing effectively or have the wrong audience; Village Sales are sales specialists. Village Sales has a team dedicated to providing support to all of our users ensuring that the process of either searching for a property or listing a property is as easy as possible. As part of our service we will work with you to help ensure that your property has the best chance of selling successfully. Village Sales is results driven and offers genuine value for money to its clients. 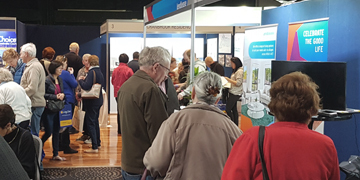 The Retirement Village Expos are held all over Australia and provide an opportunity for the over 50s to meet with many different villages and resorts. Over 50% of attendees at each event are planning to buy a property within 6-12 months. Village Sales will be promoted at each event giving properties listed on Village Sales a niche edge and an even better chance of finding the right buyer. Village Sales is an independent living only real-estate website designed for self-funded retirees. The site is heavily marketed to the public through specialised marketing campaigns including digital channels such as Google and Facebook, as well as traditional press, radio and TV. 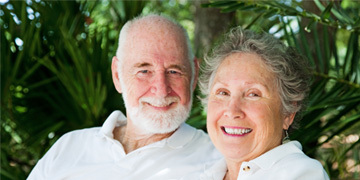 Village Sales is operated by the same group that delivers the Retirement Village Expos which have been a trusted source of information for self-funded retirees since 1996. The site is designed to promote properties on behalf of large and small village operators as well as individuals looking to sell a property for themselves or a loved one. The only properties listed on Village Sales are properties that are for sale now. Village Sales understands the self-funded retiree market and through our parent company Dorsal Media (which has been marketing to Self-Funded Retirees since 1996) we promote the site using both traditional and non-traditional media to find the right buyers. Village Sales has a strong emphasis on helping all of our users and as such offers free support to both the public and our clients. If a potential buyer is having trouble navigating the site then our friendly support team will not only guide them through the process, but actively help them search the site and if necessary forward their details on to clients when asked to do so. On top of this we also offer our clients free sales support if their listings are not gaining traction or attention. At the end of the day we are about trying to connect buyers and sellers and getting your property sold. We offer our clients genuine value for money, this is one of the core principles of our company.